Celebrating with my critique partner! After a big week, following the Monday May 23 online launch of Corrosion, Book 2 in the Trial Bay series, it’s time to celebrate. Here’s Tima Maria Lacoba, her mum Erna and me having a toast! Yay! Isn’t it nice to stop and seize the moment! I’m an author of a series…no longer a debut writer. It’s a bit to wrap my head around. And so far my sales are going okay, with more than thirty print copies ordered, plus selling several ebooks a day on Amazon.com since Monday. That’s not too shabby! Nearly every Friday, Tima and I meet and critique each other’s latest writing. She is my first reader, and her nearly eighty-nine year mother, sweet-natured Erna, is the second. It’s very motivating when they cannot wait for my next chapter! Tima and I have a supportive friendship; our weekly meeting gives each of us a deadline (we usually bring along about five to ten pages to read). We share ideas, tips and updates. 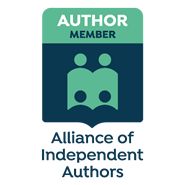 Balancing the craft of writing with the business side of indie publishing, there is always so much to learn, and Tima is very knowledgeable having been a writer a few years longer than me. She has three books in her urban gothic paranormal Dantonville Legacy series, as well as a companion novella, and is now working on the fourth! She is indefatigable! And I’m planning Book 3, Chrysalis in the Trial Bay series. We each have a lot of ideas of where we want to go from here… and we’ll continue to help each other. It’s what we indie writers do best.